NEW YORK, September 19, 2018 – Only one out of every 20 people in sub-Saharan Africa can access surgical care, meaning almost one billion people are unable to have surgery if they need it. Limited surgical capacity leads to millions of preventable deaths and disabilities every year across the continent. To transform surgical care in Sub-Saharan Africa, a new public-private partnership will train surgical teams across 12 countries: Ethiopia, Kenya, Malawi, Mozambique, Rwanda, Burundi, South Sudan, Tanzania, Uganda, Zambia, Namibia and Zimbabwe. The GE Foundation and Safe Surgery 2020 are partnering with the RCSI/COSECSA Collaboration Programme to improve the quality of surgery available across Africa by expanding a leadership development program for surgeons, anesthetists, obstetrician-gynecologists, and scrub nurses. The new partnership will blend Safe Surgery 2020’s proven leadership curriculum which is devised and led by Jhpiego, COSECSA’s extensive network and broad reach, and the master trainer curriculum of the RCSI Institute of Leadership to rapidly improve the quality of surgery. “The surgical leadership development program is so effective because each team member is empowered to act as a change agent, able to devise and implement new solutions to improve patients’ care. We are excited to partner with COSECSA and RCSI to expand this program,” says Asha Varghese, Global Health Director of the GE Foundation. The surgical leadership development program is so effective because each team member is empowered to act as a change agent, able to devise and implement new solutions to improve patients' care. We are excited to partner with COSECSA and RCSI to expand this program. Integrating the World Health Organization’s safe surgery checklist to ensure high-quality care is provided to all patients, the program takes a “train the trainer” approach where a regional network of master trainers work with in-country trainers who then deliver the curriculum to surgical teams. This training model is proven to develop surgical team’s skills effectively, quickly, and sustainably. For example, over the past three years, Safe Surgery 2020, an innovative partnership supported by the GE Foundation, has worked closely with the governments of Ethiopia and Tanzania to enhance surgical care. The initiative has already trained over 440 surgical leaders and mentors in Ethiopia and Tanzania through their leadership development program, and upskilled an additional 800 surgical workers through specialized training programs to further advance the quality of surgical care available. 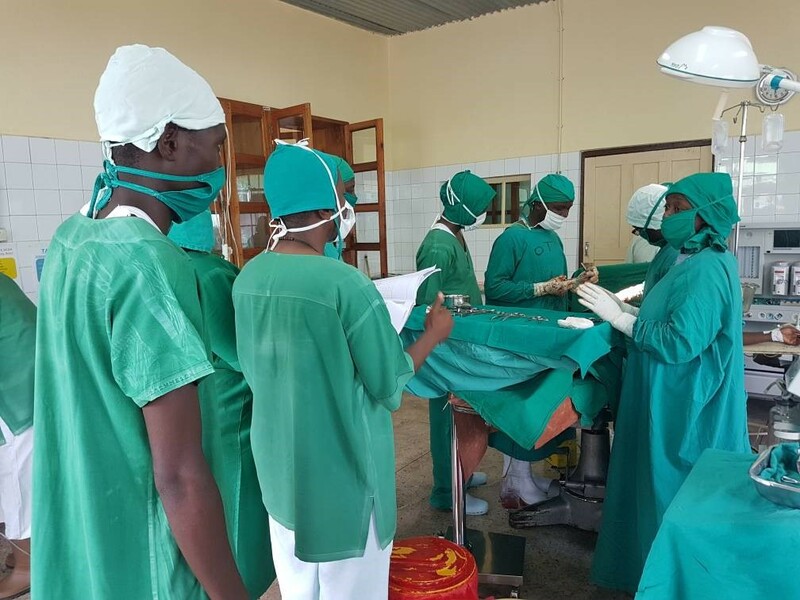 Since launching training programs in 2003, COSECSA has scaled up surgical training in the region with COSECSA trainees now accounting for approximately half of all current surgical trainees in the region. COSECSA has played a major role in the in-service professional development of surgeons and other cadres of the surgical team in its region. RCSI has worked with COSECSA, through a partnership that is funded by Irish Aid, providing expertise to design curricula, run exams, develop e-learning systems and set quality benchmarks. Safe Surgery 2020 brings together innovations, global expertise, and local experience to make surgical care safe and accessible for all. Working across Africa and South Asia, the initiative trains the surgical workforce, supports governments to strengthen national surgical systems, and develops scalable solutions to infrastructure barriers. Safe Surgery 2020 is hosted by Dalberg, implemented by Jhpiego, Harvard’s Program in Global Surgery and Social Change, Assist International, and local professional societies and universities, and made possible by the GE Foundation. GE Foundation, the philanthropic organization of GE, is committed to transforming our communities and shaping the diverse workforce of tomorrow by leveraging the power of GE. GE Foundation is developing skills by bringing innovative learning in community health globally and STEM education, scaling what works, and building sustainable solutions. GE Foundation is inspiring others to act by connecting GE people with communities through matching gifts and United Way, leading on emerging issues such as the opiate crisis, and convening community leaders to maximize our impact. Learn more at www.gefoundation.com or follow us on Twitter at @GE_Foundation. The College of Surgeons of East, Central and Southern Africa (COSECSA) is a non-profit making professional body that fosters postgraduate education in surgery and provides surgical training throughout the East, Central and Southern Africa region. The College delivers a common surgical training programme with a common examination and an internationally recognized surgical qualification in its Membership programme in Basic Surgery and Fellowship Programme in Orthopedics; pediatric orthopedics; ENT; Urology; Pediatric Surgery; Neurosurgery; Cardiothoracic; Plastic Surgery and General Surgery. The college has created a training pathway which harnesses existing, but often underutilized resources (hospitals and surgeons) for surgical training. In addition to advancing education and training, the college is also involved in advancing standards of practice and research in surgical care. The College currently operates 12 countries in the Sub-Saharan region: Burundi, Ethiopia, Kenya, Malawi, Mozambique, Namibia, Sudan, Rwanda, Tanzania, Uganda, Zambia and Zimbabwe. Follow us on Twitter at @cosecsa.